I used to think that I needed to be able to do an entire activity in Spanish, or I shouldn't do it at all. Doing this Spanish shapes pumpkin activity the other day with my 4yo (that I didn't prep or plan ahead for) helped me to remember that little consistent steps are better than inconsistent big steps. Learning shapes in Spanish is a type of lesson that can feel very approachable for families beginning Spanish. First, because it can be really easy on the parent (or teacher) to talk and learn about shapes spontaneously, and two, it's a fairly simple concept to grasp, so beginning learners can comprehend and experience minimal frustration. 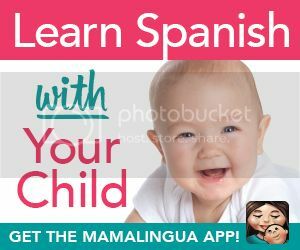 My kids stay engaged in our Spanish lessons if we are having fun and they are understanding what I'm saying. 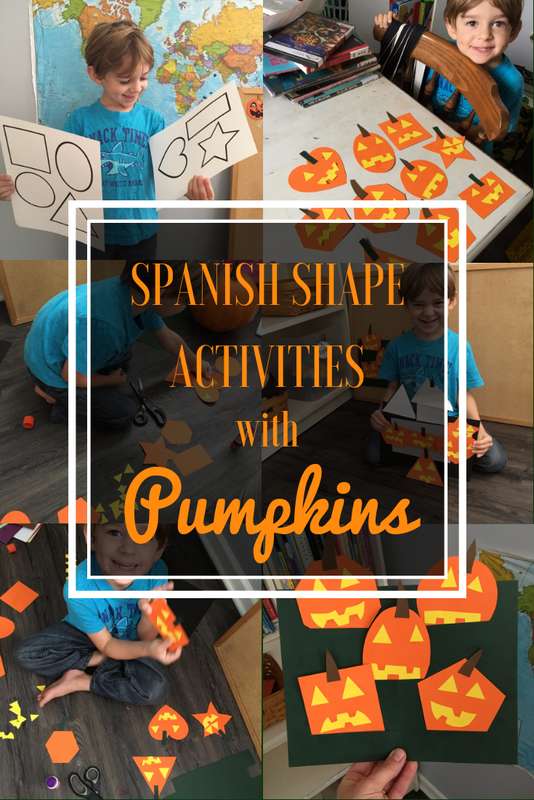 Last week we learned about shapes in Spanish with PUMKINS!! It turned out to be an easy and fun activity, so I'm sharing it with you here. You can pull this activity off if you have orange paper, or an orange crayon or marker! Of course you can add more supplies and embellishments than that, I just love to remind parents we can keep activities extremely simple and still have effective learning taking place. I made a quick shape template to help us cut out nice shapes from our orange paper. You can download one for yourself at the end of this post. Here's how ours turned out. As you can see here we had an opportunity to talk about all these shapes, plus the colors orange, yellow, and green (can you tell some of the stems are green?). I put mine in a pumpkin patch (calabazar) by folding a dark green paper in half to cut three slits. Then I glued that around the edges to another piece of green paper. Now the pumpkins can be taken in and out to be played with. My 4yo decided to put his calabazas in a haunted house (una casa embrujada). So then we also got to talk about the colors black and gray! To be clear, we did most of this activity in English, and then used the Spanish words for the colors and shapes when we could. We also used the word calabaza instead of saying pumpkin. Baby steps, right? 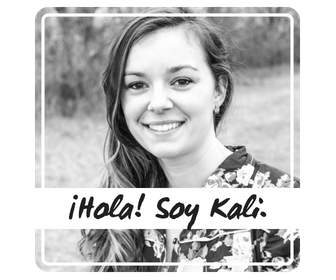 I always want to try to help you and your family as much as I can so Spanish learning can feel easy and fun in your own home! 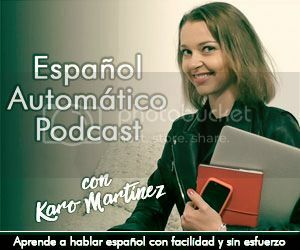 I've put together a little vocabulary guide of Spanish shape words, and phrases you can use to learn those shape words. The title is also linked to a playlist I created on YouTube with some of our favorite shape songs. You can also download the shape template if you need (which could be used for other shape learning activities besides this pumpkin one). One last thing. I wrote a mini-story about the different-shaped pumpkins that you could draw your pumpkins on if you prefer. 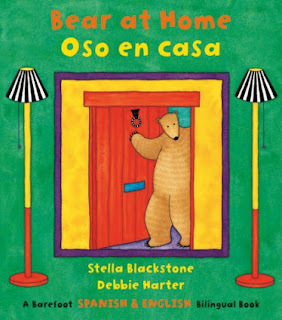 It might be easier for parents who don't speak Spanish to use this, then you can talk about the pumpkins in full sentences without relying on your own Spanish knowledge. There is a pronunciation guide in the back to help you read the story aloud. Let me know if you try this activity at home!! You can tag me with your photos on Instagram (I'm @fortheloveofspanish), or post them to my Facebook page. It makes my day to see you all learning Spanish alongside us!! If you live in the United States like me, you know that finding picture books in Spanish isn't always easy! 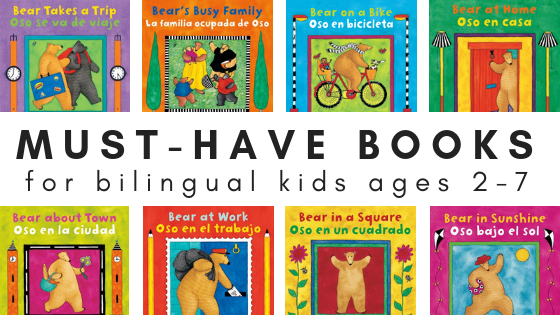 Although Spanish books for kids are becoming a little more mainstream than they used to be, it's still not as easy as finding books in English. 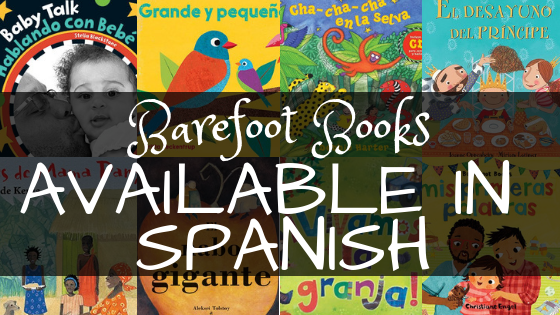 That's why when I found out about the Barefoot Books company, and that they publish many of their titles in Spanish, I knew I had to be a part of that! 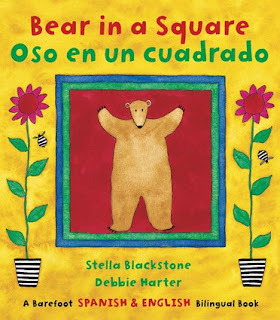 You may have seen my previous booklist of Barefoot Books that Celebrate Hispanic Heritage, and now today I'm sharing with you a list of Spanish picture books that Barefoot Books has to offer. 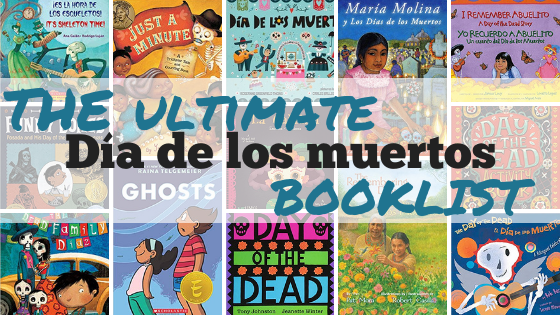 When I set out to make this list, I had NO IDEA how many great books were out there to celebrate Day of the Dead. It just took a little bit of digging. Between Amazon and my local library's card catalog I have found for you all of the must-read picture books (and more!) for Day of the Dead. 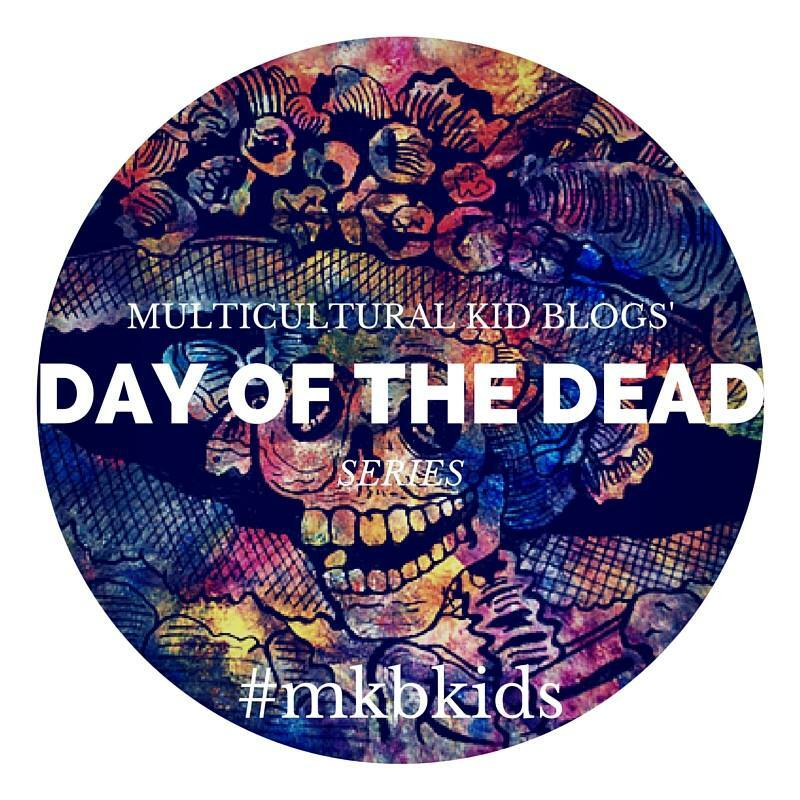 If you haven't heard of this holiday celebrated in Mexico and other parts of Latin America, make sure you visit the Day of the Dead Blog Hop hosted by Multicultural Kid Blogs that I participated in this year. 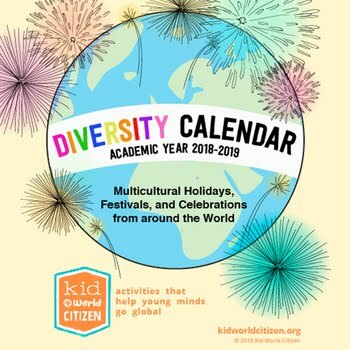 You can find lots of information and ideas for celebrating there. 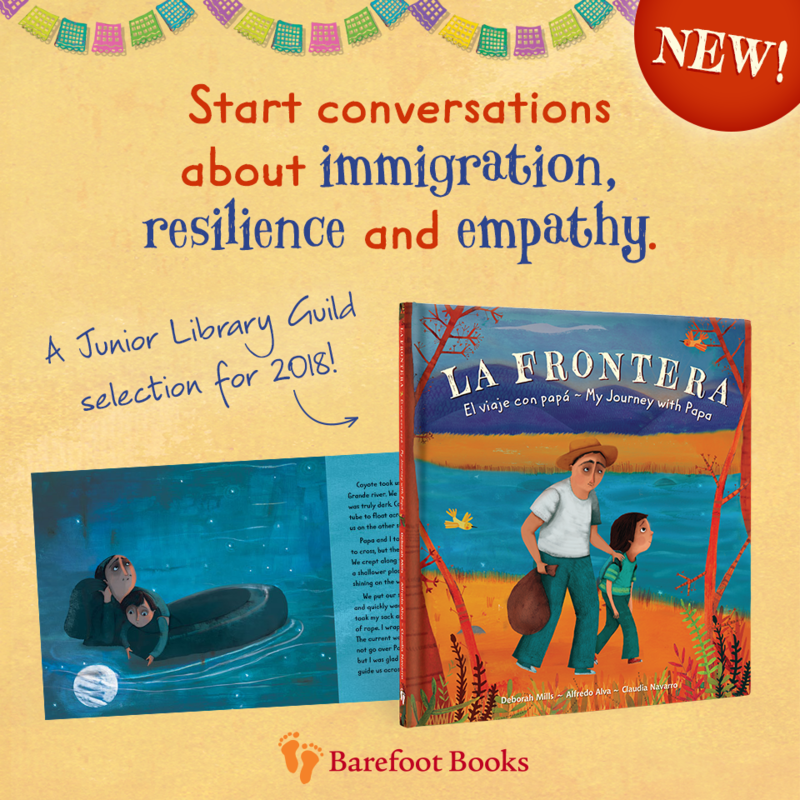 You probably know by now, books are our favorite way to learn and celebrate around here. 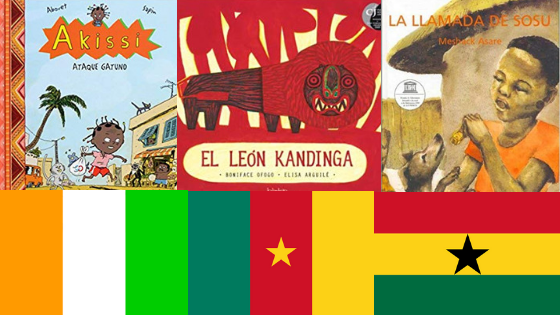 I have so much fun making these Spanish picture book lists, especially because I always come away with more books in my library holds list that are new to me! I hope you enjoy these as much as I do, and if you have any to add, be sure to let me know about them in the comments!!! Día de los muertos is not a holiday I grew up celebrating. 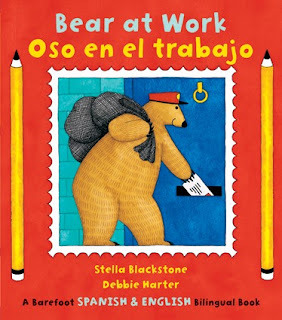 In fact, I hadn't heard of it until I started teaching Spanish after college. Muerto or "dead" is a word we tend to tiptoe around in English, therefore if it's your first time hearing about it, it might not sound like a happy or festive tradition, especially if you see all the skulls used for decorations. In fact it is, like many things from Mexico, steeped in tradition and reverence for family, gathering, and the sharing of food. Día de los muertos is a holiday that celebrates the dearly departed or difuntos. Families set up altars in their homes with mementos and photos of their loved ones that have passed away, and ofrendas or offerings of their favorite foods. Some families set up their ofrendas in cemeteries and burn incense and candles and spread marigolds along the paths to lead their loved ones' spirits back from the dead. It can be hard to introduce a holiday to your kids that you don't celebrate. How do you explain all the little traditions and meanings behind everything that has been passed down for years and years. Of course my answer is always books! Día de los muertos by Roseanne Greenfield Thong (pictured above) is the book we checked out from our library to learn more about the holiday, and it has been perfect for a first introduction. 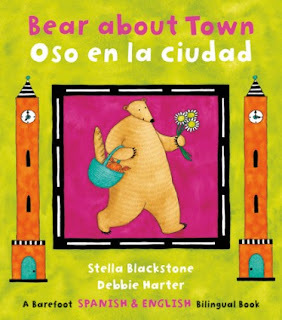 The text rhymes, it teaches some Spanish words throughout, and it walks you through all the celebrations and traditions that families partake in with simple explanations of the meanings behind them. I got this really neat Lotería game from the Shop Hola Amigo Etsy store. My 7yo and 8yo played with me and we had fun! Any time you can use a game for learning it's a win for everyone. I was happy we were learning Spanish, and they were happy because I let them play for money! 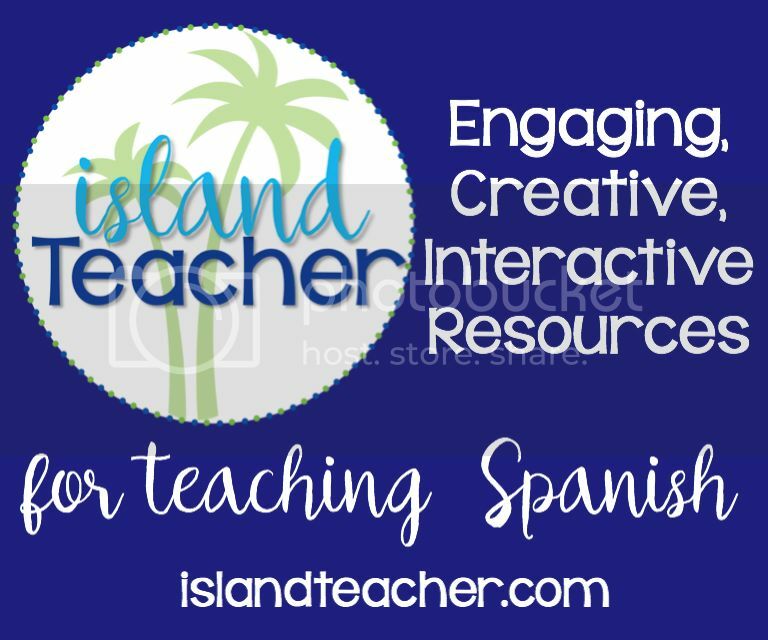 We got to learn the Spanish words for many elements of the holiday, and we also practice using some game-playing phrases. I think this year I'm going to try to actually work with the kids to set up an altar. Even though our family's beliefs are different from what the holiday practices, I still think it will be a neat learning experience to talk about the different symbols and elements. For the papel picado we're going to go the easy route and make some from doilies. We already have some made from Hispanic Heritage Month that we made with friends, and the project was fun and simple enough we will probably do it again. I got the idea from Latinaish maaaany years ago! She has some really good posts about Day of the Day also. If you would like to learn some Day of the Dead Spanish vocabulary, or would like help with some of the pronunciation of the words, I made a quick guide for you to download here. It would make a great companion to the videos and articles above, as well as any books you check out from the library about the holiday. What simple ways are you learning about or celebrating Día de los muertos this season? Check out all the learning and fun in the BLOG HOP below!! Fall holds so many great themes for reading. 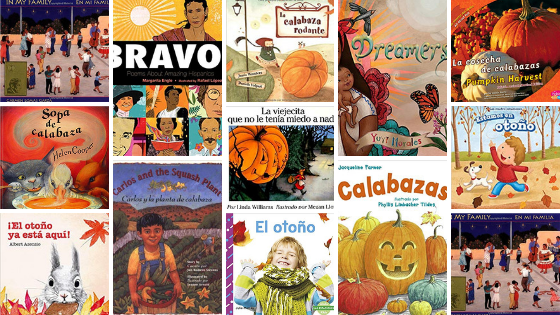 In this list of Spanish picture books I have chosen to highlight books with the themes of pumpkins & fall, as well as a few of my current favorites to go along with celebrating Hispanic Heritage Month!! 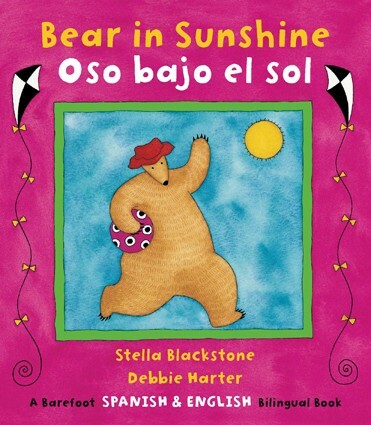 You can also check out my book list of Barefoot Books that Celebrate Hispanic Heritage. Oh my word. This book is amazing. 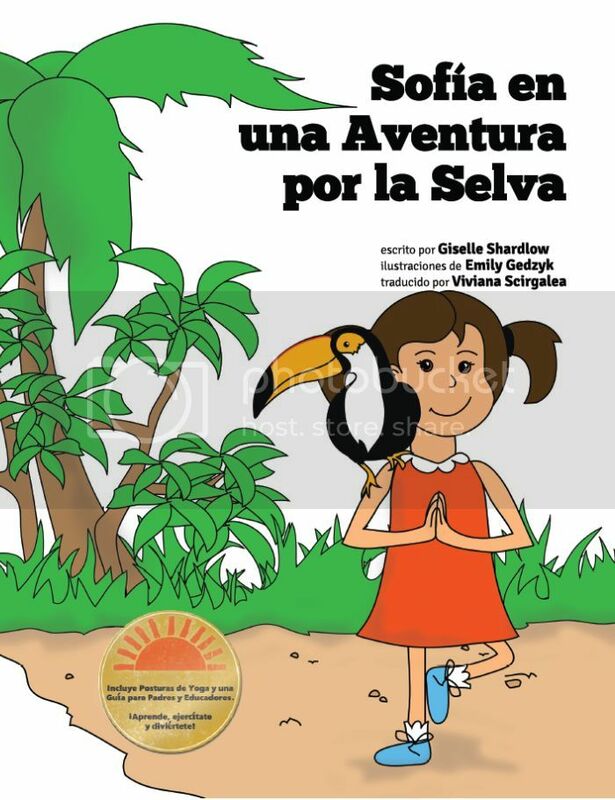 You don't need to say anything except, "It was written and illustrated by Yuyi Morales" and I'm sold. I have only read parts of this book by peeking inside on Amazon, and I have also seen parts from reviews on Instagram, but what I have seen is amazing. Yuyi Morales tells the story of her move to the United States from her home country, México. It's the story of many, and so worth telling. Eighteen poems about Hispanic figures of past and present—some famous, others not so famous. Each poem is accompanied by a beautiful portrait drawn by illustrator Rafael López. The back of the book also contains a small biographical paragraph about each figure represented in the book for readers to learn more about the lives of each. I loooove this book. Author Carmen Lomas Garza has painted scenes from her childhood growing up in southern Texas, near the U.S./Mexico border. Each painting has a vignette to go along with it, describing the scene. Some scenes are from everyday life, and others from very special occasions. 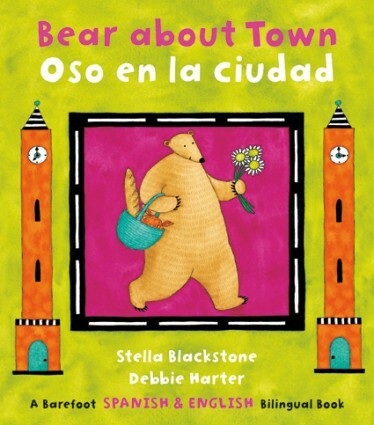 It's such a lovely tribute to Hispanic culture, family, language, religion, and history. One of those fun books where the phrases are repeated over and over again (great for language learning and comprehension!). Marla Pequeña's pumpkin starts rolling down the road and all through the town without any signs of stopping. Marla follows it shouting for help along the way. Learn about how pumpkins grow on a vine, change colors, and how they are harvested. 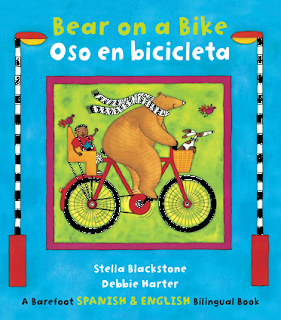 This book is part of a series called "Todo acerca del otoño" (All About Fall). Paying tribute to the star of the fall season, the pumpkin, through this book kids can learn about where the pumpkin originated in use, how it grows, how it is used today and more fun facts. The illustrations are done with colored pencil giving this book a cozy and cheery feel. It also includes a list of websites where kids can go to learn more about the pumpkin! 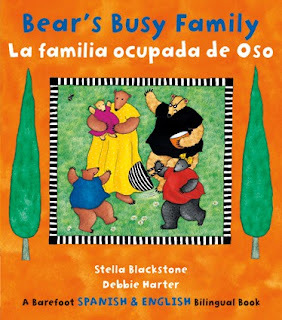 Here is a classic fall book that I was so happy to find in Spanish! Another entertaining tale that uses repetition. A little old lady sets out to collect some herbs and spices from the forest. She runs into some spooky things, but each time says "I'm not afraid of you!" Or is she? You can also find this book read aloud in Spanish on YouTube! A silly tale about a boy who refuses to take a bath after working in the garden each day, and then a plant sprouts in all the dirt in his ear! Carlos learns a lesson about the importance of cleanliness, and that Mamá always knows best. ;) In the back of the book, you can find a recipe for calabacitas traditionally cooked in the Southwestern United States. 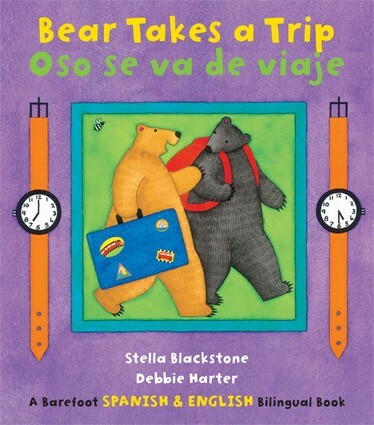 We've read this book in English and it is a great story about friendship. The three animals always make pumpkin soup together, but one day duck decides it's time for something different. Thankfully the animals figure out a way to compromise and work through their differences. Little squirrel Nin pays attentions to the signs and knows that fall is here! Bears are eating more, animals are getting their nests ready, leaves begin to fall. What other signs of fall does the forest have to tell? These books with simple text work well for kids who are learning Spanish! Talk about all the things that make us think of fall! Fun illustrations and a narrative-style text walk you through all the fun activities you can do in the fall: hayrides, raking leaves, and more! This post contains affiliate links. Read our Full Disclosure for more info.